I've been cooking and baking with pumpkin this week too. I blogged your pumpkin madeleines and they were a bit hit. I hope you like my version of a wonderful recipe. Thanks again for the inspiration! DFA, your madeleines look fabulous and I love your variation. I'm also drooling over your Pumpkin and Shrimp Bisque. I must make this soon. Thank you! This cake's combination of flavors drew me in immediately. The addition of the pear is great. I took the warm spices in a different direction, but you're right, the orange in the streusel is delicious. Hello, Bryan. I'm curious about your spice selection! I was kinda surprised at how much I loved this cake. It really feels like a quintessential fall dessert. The spices I used aren't a huge departure, just a little pared down. In order of appearance: cinnamon, coriander, nutmeg, and mace. 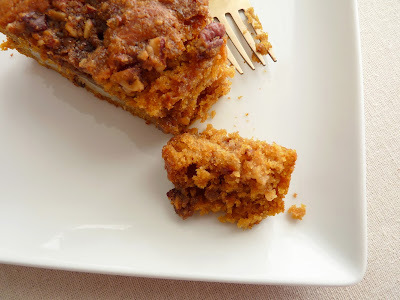 I kept the ginger in the streusel though-- very warm and tasty with the brightness of orange. Very interesting choice for a lighter spice profile. Thank you! Perfect! That will definitely get your holiday rolling! Just to say - I made this last night and it is one of the best cakes EVER. 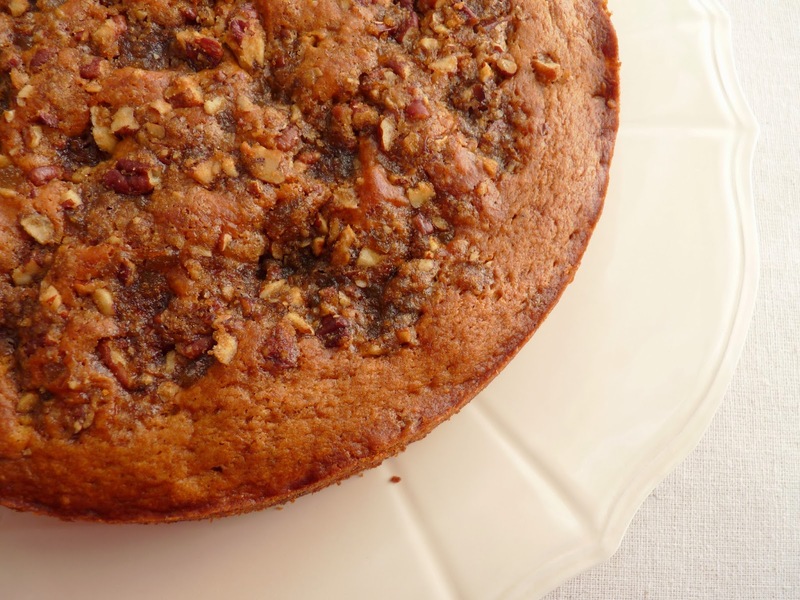 That pecan streusel is inspired. 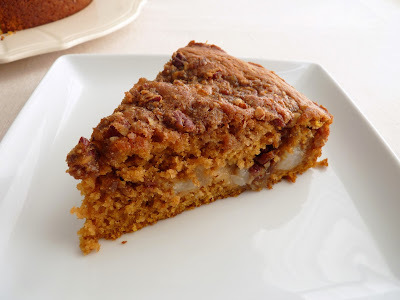 Thanks so much for the recipe, I'm enjoying a piece (OK two) right now instead of dinner! Thanks so much for your feedback, Elly! I love this cake and am thrilled others do, too. Enjoy the rest of it! I've made this cake three times (most recently last weekend) and absolutely adore it! The blend of spices and pumpkin is so comforting and the streusel is to die for. The cake elicits raves every time it appears. Couldn't recommend more highly. BTW I've found that it needs an extra 5-6 minutes for a skewer to come out clean on testing. brownkat, that's fabulous! So grateful for your feedback. I really love this cake, too. 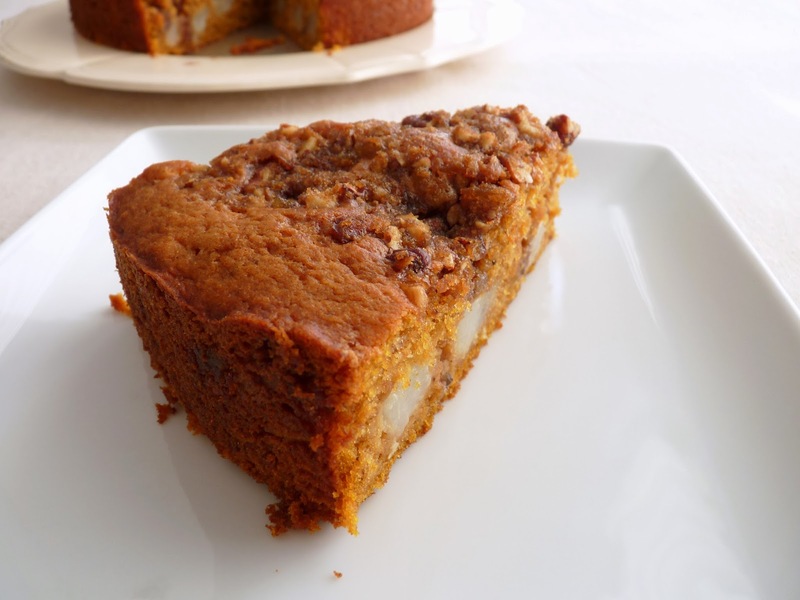 It's moist and flavorful with a bit of texture and the pear just takes it over the top.